Porcelain veneers are a popular cosmetic dental treatment that can brighten your smile and restore your physical self-confidence. Not only do porcelain veneers improve the colour, shape and position of your teeth, they also act as a layer of protection from the damage that can be caused by acid in either your stomach or the food and drink you consume. If you have teeth that are damaged or stained, the fitting of veneers might be the perfect treatment for you. Consult our expert cosmetic dental team at 75 Harley Street, London for more information about the placement of porcelain veneers. 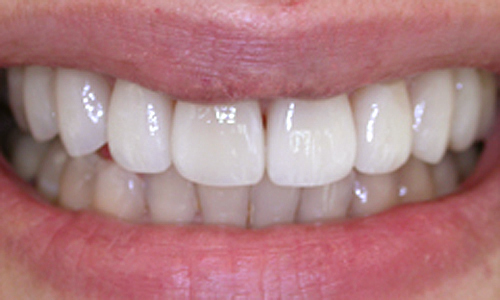 Veneers are lightweight, carefully shaped layers of porcelain, or natural coloured composite, that are fitted over the front surface of your teeth by our Harley Street cosmetic team in London. Imagine a false fingernail that has been meticulously colour selected and shaped to match your existing nails, porcelain veneers do the same job for your teeth but, as our Harley Street team will explain, also offer the benefit of protection for teeth that might already be damaged. Porcelain veneers give a natural look, offer a good level of durability and can be designed to exactly match your existing tooth colour. 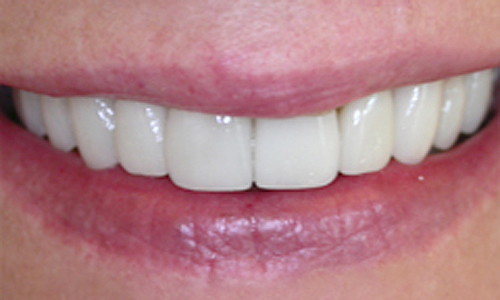 Find out more about what veneers are and about our veneers procedure. No matter how carefully you look after teeth, there is always a risk that they might become damaged through decay or accident. At 75 Harley Street, London we understand how upsetting a damaged or chipped tooth can be and we recommend the placement of veneers for patients who want to conceal damage and regain confidence in their smile. 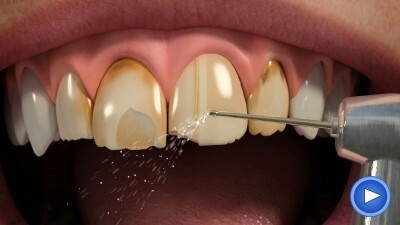 Teeth can become stained or discoloured over time. At 75 Harley Street we understand that veneers can improve teeth that have gained an unsatisfactory colour through food or drink staining, age-related reasons, trauma, internal bleeding or other causes. Patients often come to us concerned about tooth staining and, whilst some tooth discolouration can be dealt with by professional cleaning, our Harley Street London cosmetic specialists will frequently recommend the placement of veneers as a more effective and satisfactory solution. When you visit our clinic at 75 Harley Street, London our expert cosmetic team will discuss your veneer options with you. 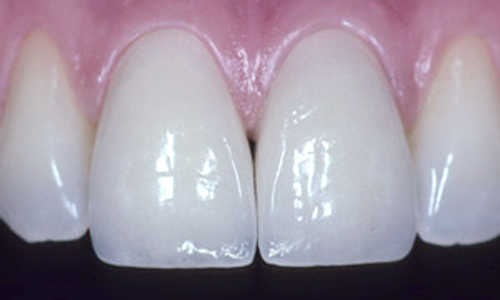 Porcelain veneers are very versatile and can be placed on single or multiple teeth. At 75 Harley Street we will only recommend the fitting of a full set of veneers for your front teeth if we feel that this is the best solution to your tooth staining or damage issue. 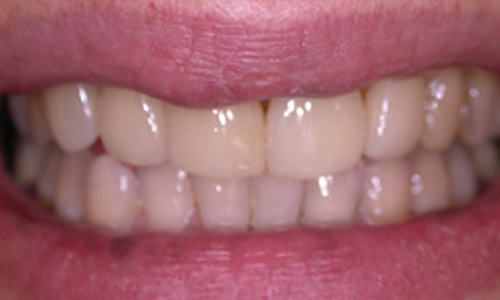 The good news is that, whether we recommend a full set of veneers or not, at 75 Harley Street we can match the colour of your porcelain veneers so closely to your natural tooth colour that even a single veneer will be difficult to distinguish from your existing teeth. Although stained, chipped or uneven teeth are often a cosmetic issue that won’t necessarily affect your general oral health, at 75 Harley Street, London we understand that, for some patients, having discoloured or uneven teeth can have a huge impact on self-confidence. Like many cosmetic dental procedures, veneers can give you the smile you want to see in the mirror and the assurance that you can step into any situation looking and feeling your best. Job interviews, important social occasions or business meetings will all feel easier when you are happy to share your smile with those around you. Talk to our cosmetic team at 75 Harley Street in London about how the placement of veneers can improve your self-confidence. One of the veneers questions we are often asked when patients first talk to us about the placement of veneers at our Harley Street clinic in London is how long the veneers will last. Veneers usually offer a long-term solution of up to 30 years, after which our expert Harley Street team can easily replace them. The longevity of your Veneers very much depend on how well the patient looks after them, keep them clean and away from accidental knocks. For patients who clench and grind their teeth at night, we provide a thin protective night guard to be worn at night. One thing that is important to remember is that veneers are susceptible to breaking or chipping in exactly the same way as your natural teeth. It is always important to look after your teeth and ensure that you make regular visits to our London, Harley Street hygienists but we do sometimes find that people who grind or clench their teeth can put more stress on them and decrease the lifespan of any veneers they have had fitted. If you have existing veneers and are concerned that they may need replacing do get in touch with our cosmetic team at 75 Harley Street and we will be able to advise you about your next best step forward with your veneers. When you visit our Harley Street clinic for your initial veneers appointment our team will take the time to ascertain your needs and reasons for treatment and recommend the right veneers treatment for you. Once we have discussed our treatment suggestions you will be given another appointment at 75 Harley Street in London during which one of our cosmetic dental consultants will prepare your teeth and fit temporary veneers. 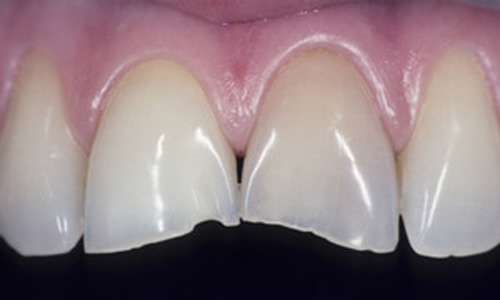 The preparation procedure for porcelain veneers is not painful; a minimal amount of enamel is removed to ensure a strong, long-lasting bond and exactly match the thickness of the veneers to be placed. During this Harley Street appointment our team will also take impressions of any teeth that are to be fitted with veneers. This impression is used to create your permanent porcelain veneers but, while these are being made, we will fit colour-matched, temporary veneers to protect your prepared teeth against sensitivity. 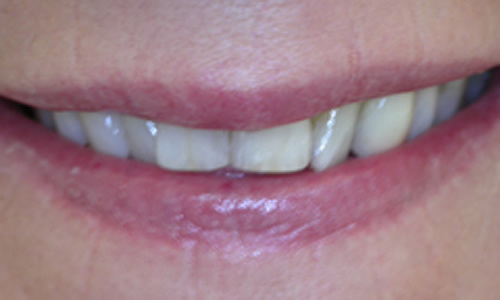 Some of our Harley Street, London patients are concerned that veneers will cause an unnatural smile. This is not the case; our Harley Street consultant team work closely with the laboratory that creates your bespoke, final porcelain veneers to ensure that your veneers are carefully matched in both colour and shape to you existing teeth. When these final porcelain veneers are placed on your teeth using a strong bonding material, we are confident that you will be delighted with the results and enjoy your new, brighter smile. You can view more veneers before and after photos and find out about the cost of veneers to help you decide if they're for you.